Touring bikes are cycling’s beasts of burden. These strong, sedate bikes are built to carry great loads over enormous distances. Who needs a touring bike? Touring bikes are built for intrepid travellers who want to spend weeks or even months in the saddle. However, they’re so stable and comfortable that they’re also popular as commuter bikes and for long leisure rides. 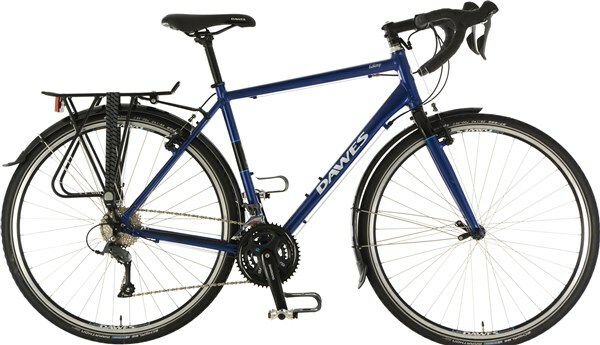 Touring bikes are generally heavier than road bikes as they’re set up with plenty of extra equipment like racks and are stable and comfortable. Audax bikes are similar, but are for lightweight touring, so they’re lighter and faster. Steel is the traditional frame choice for tourers due to its comfortable properties, but there are plenty of aluminium tourers around now. 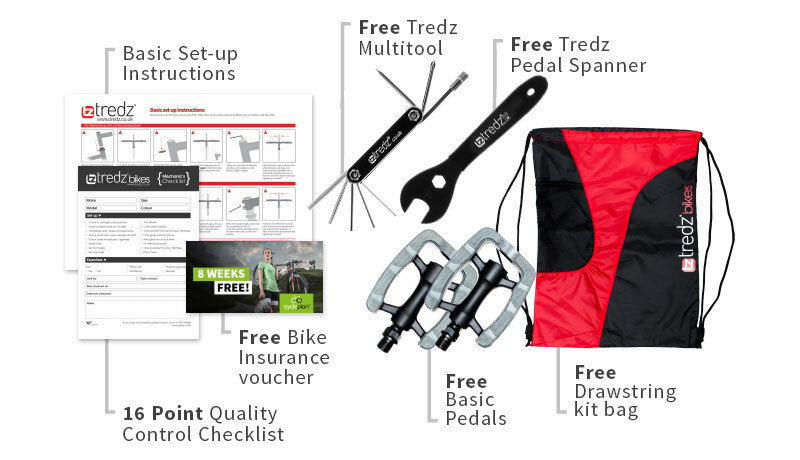 Many tourers come ready set up with racks and mudguards, but if not you’ll need to get these for your cycling adventure. Also don’t forget panniers, rack packs and handlebar bags. Tourers are really built to last and are a seriously good investment for a bike that’ll last many years. Although they are often steeped in tradition, you can now find tourers with really useful modern kit, like disc brakes. See our Touring bike guide for more.